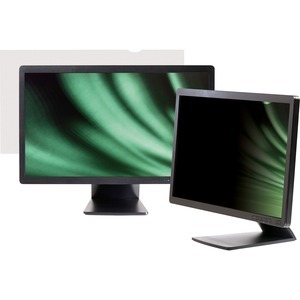 Darkening privacy filter is designed for LCD monitors to provide worry-free privacy wherever you work. 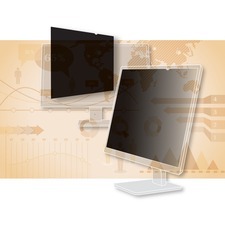 3M's microlouver privacy technology allows only persons directly in front of the monitor to see the image on screen so this filter is excellent for high-traffic areas. 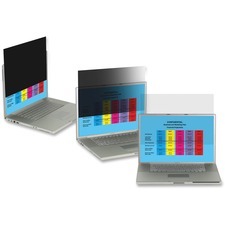 Darken on-screen images from a side view with no blurring or distortion. 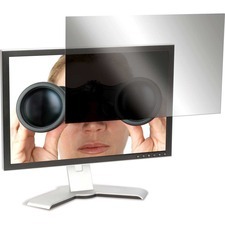 Privacy filter is reversible for either glossy or matte screen finish. Using the matte side facing you reduces glare. 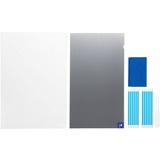 Privacy filter also helps to protect your LCD panel from scratches and abrasions.